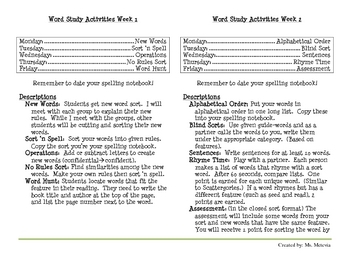 Teachers, here are your lesson plans for 2 weeks worth of word work! These are activities to be done in class using their Words Their Way word sort cards. The activities are new and different every day, so the students are always engaged! Activities include games, alphabetical order, and making up their own rules sort!